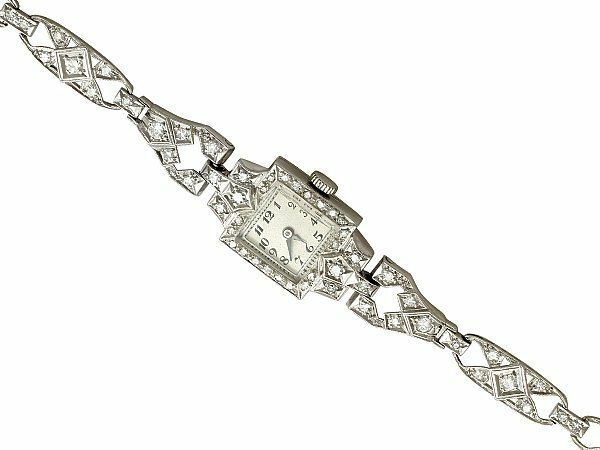 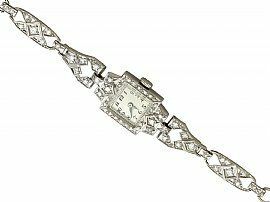 This exceptional antique diamond and platinum watch has a rectangular form. 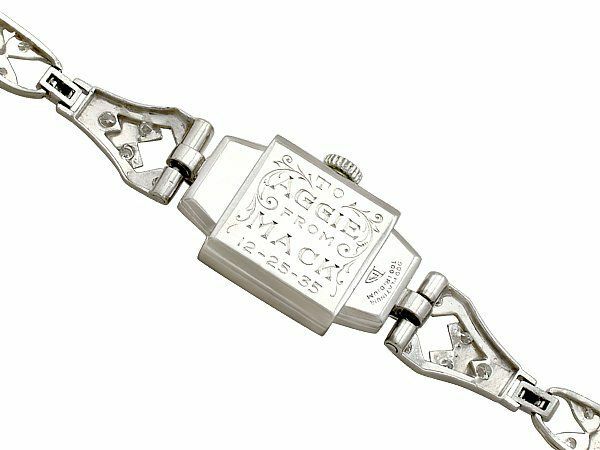 The wristwatch has an 'antique white' watch face which displays bold black Arabic numerals within a rectangular, track style, minute marked chapter ring. This impressive antique diamond watch is fitted with blued steel hands and has a plain crown/winder. 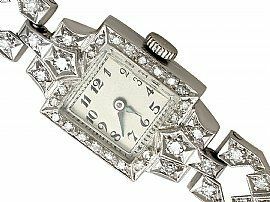 The platinum bezel is ornamented with twenty diamonds and accented with shaped lugs, each accented with a further four diamonds within a geometric arrangement. 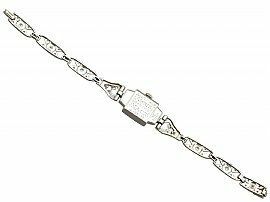 The impressive pierced decorated, articulated bracelet style strap consists of two tapering links and six symmetrical, elongated oval links. 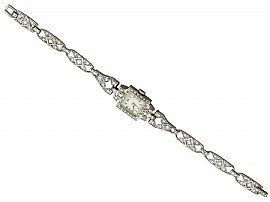 The oval links all feature a central rectangular design ornamented with a transitional modern brilliant round cut diamond. Forty-eight diamonds in a combination of transitional modern brilliant round cut and eight-cut stones embellish the remainder of the links and clasp. 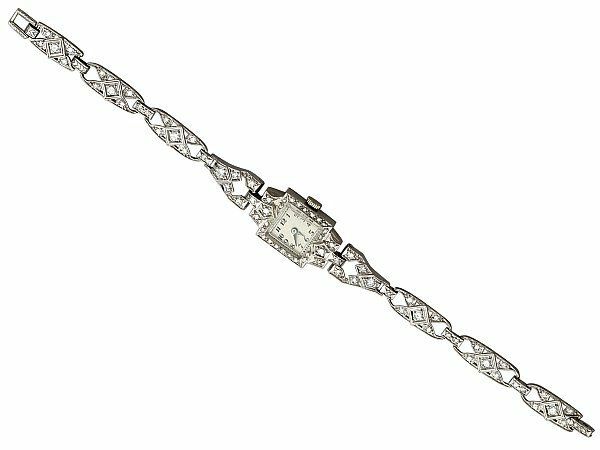 This stunning antique manual wind wrist watch is fitted with a Swiss made 17 jewels unadjusted movement. 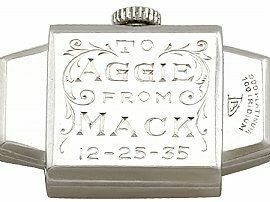 The platinum case back is engraved with a contemporary inscription: "To Aggie from Mack 12-25-35" and marked with the platinum iridium fineness marks (900 platinum 100 iridium*). 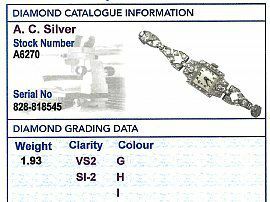 NOTE *Platinum/Iridium Alloy: As with all precious metals, platinum in its pure state is very soft. 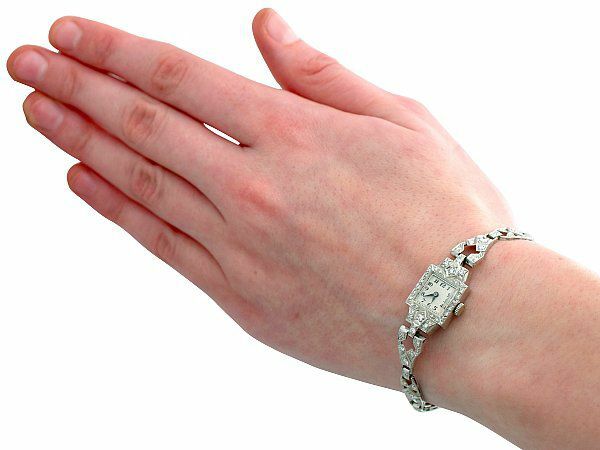 Pure platinum is very easy to work with, as it can be welded, soldered and takes on a lustrous polish but unless heavily cold-worked, it is too soft for every day wear in jewelry. 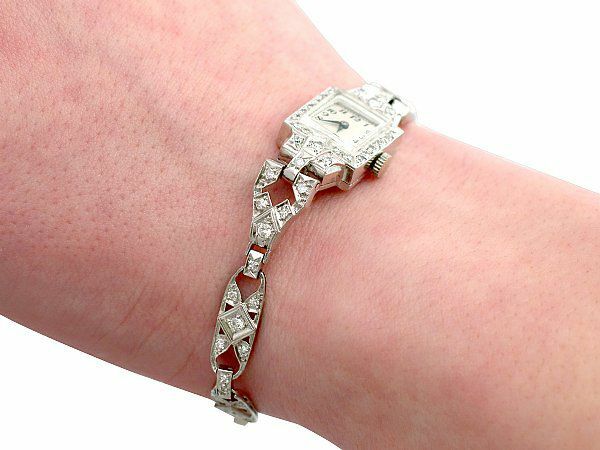 It must therefore be alloyed with another metal such as palladium, iridium or copper to improve its durability. 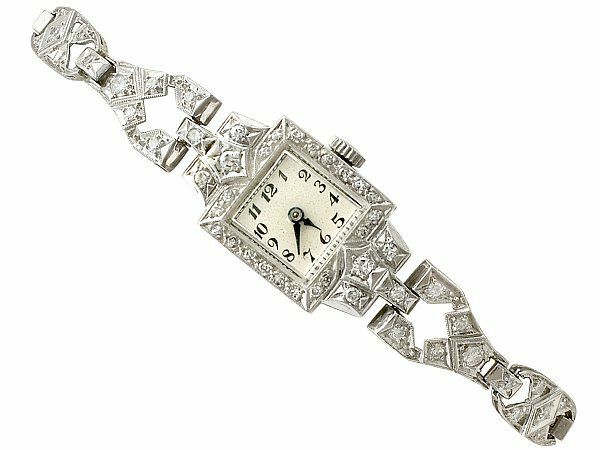 This ladies antique cocktail watch is exceptional quality, set with seventy-eight very high colour graded old cut diamonds. The watch is a very good gauge of platinum and is in excellent condition. 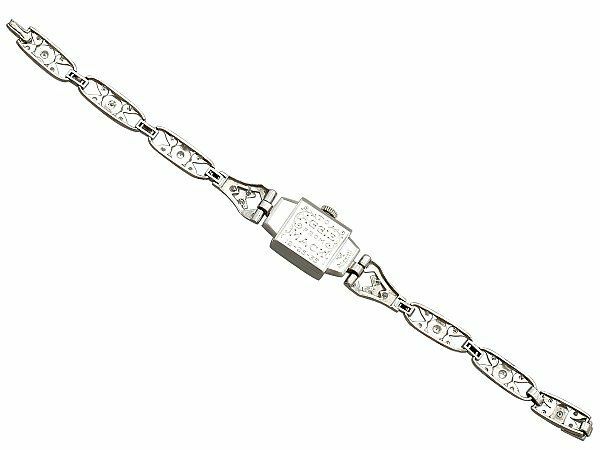 Two of the smallest links have been replaced with links embellished with a subtle textured design. 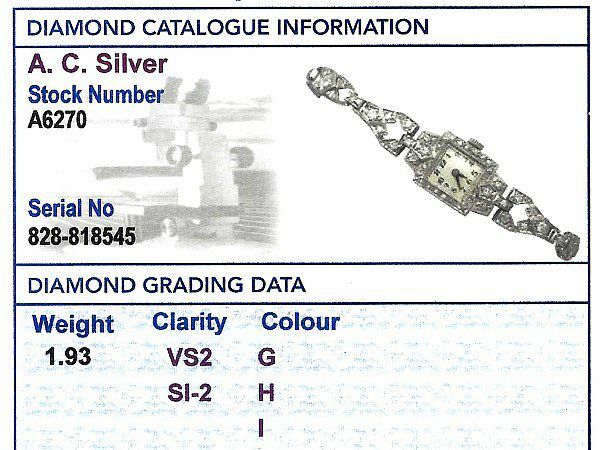 The platinum and iridium marks are clear. 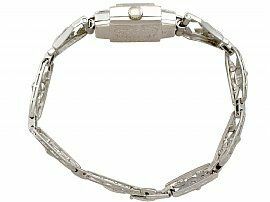 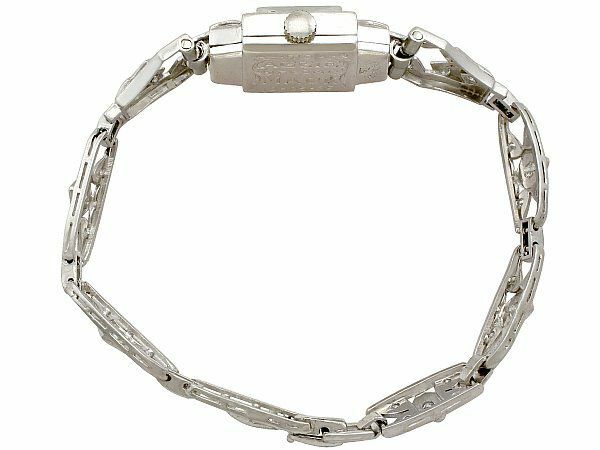 AC Silver is pleased to offer a bespoke service if the size of the bracelet strap needs to be adjusted to meet your personal requirements. 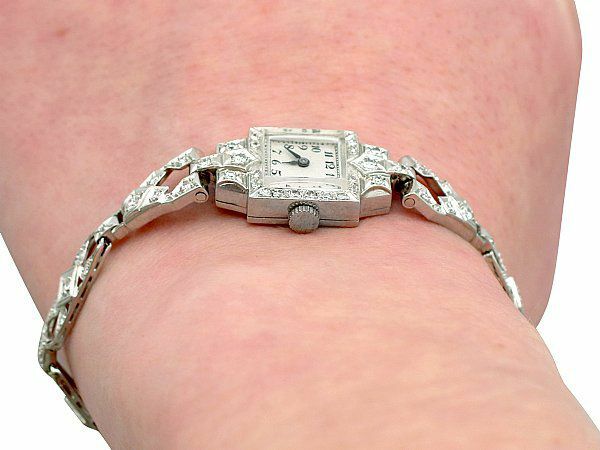 Reflections in photographs may detract from the true representation of this fine cocktail watch. Length lug to lug 3.0cm/1.18"